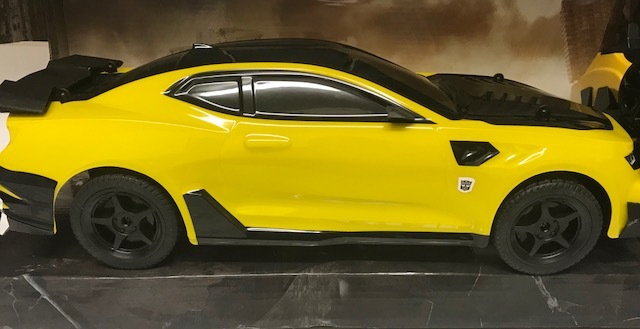 We love Transformers so we were delighted to put this cool Transformers The Last Knight Jumbo RC Bumblebee to test. 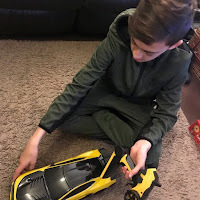 Our first thoughts were the impressive size which is a cool 40cm long and 19cm high with a length of 19cm, we needed 7 AA batteries for both the car and remote control, and we were ready to go. 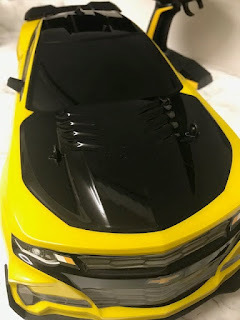 the light body most defiantly helps with the speed, my son had hours of fun playing with this cool radio control Bumblebee car. Transformers: The Last Knight Giant Radio Control Bumblebee Car is a must have for young Transformers fans.aged 5 years and over. Available to purchase from Argos.